Being Charged With a Crime UK | What Happens Next? What happens after being charged with crime? This page explains the police procedure if you get charged with a crime in the United Kingdom. 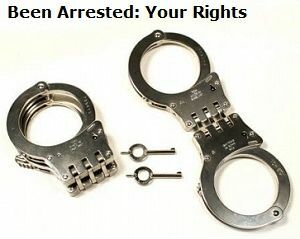 YOUR RIGHTS: Find out details about the court hearing and when you can get released on bail. In some cases you can get put into custody (on remand) after the police charge you. The police will issue a 'charge sheet'. A police charge sheet UK sets out the exact details of the crime you have been charged with. You get bail and can go home until the court hearing (you may need to follow certain rules). To keep you in police custody until you get taken to court for your hearing. If you get charged with a crime your first court hearing should be at a magistrates' court. The police use a 'virtual court' using video technology in some cases. This applies even if your trial will take place at a Crown Court at a later date. Note: Being charged of a crime in Scotland follows a different set of procedures and rules. Under 18: Your first hearing will usually take place at a youth court. Under 17: The police must try to arrange for you to get held in local authority accommodation. This will happen wherever possible before you go to court. Aged 12 to 16: The police can choose to keep you at the police station if they think it will better protect the public. Once the police have charged the offender they sometimes release them on bail in the UK. That means the offender can leave the police station and go home until the court hearing. Live at a specified address known to the police. Have no contact with certain people. Surrendering your passport to the police so you cannot leave the United Kingdom. Make a physical report at a police station at agreed times (once a week is typical). If you fail to fulfill the conditions of bail you can get arrested again. If that happens you will get taken to prison while you wait for your court hearing. When you have attended your hearing you might get given bail again until the start of your trial. This can happen if your hearing takes place at a magistrates' court or a 'virtual court' with video conferencing in courtrooms. You get charged with a serious offence (e.g. armed robbery). You already received a conviction for a serious crime in the past. You got bail in the past but failed to stick to the terms of the bail. The police believe you will not show up for your hearing. The police feel you may commit a crime while you are on bail. The court may decide to put you on remand if you are an adult. That means you will go to prison until you get a hearing at a magistrates' court. Offenders under 18 years of age will get taken to a special secure centre for youngsters. Facilities used for young people in custody are not the same an adult prisons. In some cases you might get put on remand again when you attend your hearing at a magistrates' court. Further remand can happen until your trial begins (even if you got bail before).